Matthew Maguire is a multi-disciplinary Theatre artist. He has won an OBIE Award for Acting (1998) and an OBIE Award for Direction (2007) and numerous fellowships and commissions. Throwin’ Bones began as a video installation at the Palais des Beaux Arts in Brussels with acclaimed architects Diller + Scofidio. The Memory Theatre of Giulio Camillo was produced at La Mama, the Walker Art Center, and the Anchorage of the Brooklyn Bridge where it won multiple Bessie Awards. Mike Steele in the Minneapolis Star and Tribune called it “one of the densest, richest, most provocatively beautiful theatre events in my memory.” And the New York Times: “a deftly imaginative exploration of memory ... the scenes are so vivid to behold that one feels the shards of a dispersed past trying to reassemble themselves.” It was part of the Diller & Scofidio 2004 retrospective at the Whitney Museum. Other plays include The Seven Deadly Elements; Eye Figure Fiction; Untitled (The Dark Ages Flat Out); The American Mysteries; Propaganda; Visions of Don Juan; The Window Man, a musical with Bruce Barthol and Greg Pliska; The Desert; and Abandon. 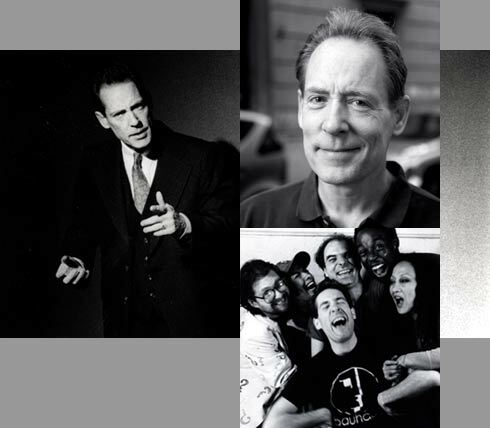 His awards include an NEA Playwriting Fellowship, a Hammerstein Fellowship, a McKnight Fellowship, a Meet the Composer commission for the libretto of The Tower, multiple years of support from Jerome Foundation and the J. M. Kaplan Fund, and commissions from NYSCA, NEA, and the New York Foundation for the Arts. New plays in the works are Luscious Music, Wax Wings (commissioned by Emory University) and a new musical, Laughing Pictures, with composer Daniel Levy. His plays have been published by Sun & Moon Press, Performing Arts Journal, TheatreForum, and Back Stage Books. In 2009 NoPassport Press published Matthew Maguire: Three Plays. He won an OBIE award for acting in 1998 for his performance in Mac Wellman’s one-man play, I Don’t Know Who He Was and I Don’t Know What He Said, under Mr. Wellman’s direction. About his solo Babel Stories at Primary Stages the Village Voice wrote: “Maguire is a magician. Look for Zen ease and apocalyptic explosiveness.” The Voice listed Creation Production Company’s production of Samuel Beckett’s Embers, in which Maguire played Henry, as one of the highlights of the 2000/01 season, and wrote that Maguire “eloquently embodied this stranded soul.” He performed a solo version of his most recent work, Luscious Music, at the Architecture Museum of Basel. His text for the solo version of Luscious Music is published by TheatreForum. In January 03, he performed in Michael John Garcés’s Customs at Intar. In 2009/10 he began to perform his solo, Wild Man. He won an OBIE Award for his Direction in 2007 for his play Abandon. His work includes the creation with Philip Glass and Molissa Fenley of A Descent Into the Maelström for Australia's Adelaide Festival. Among his directing projects are The Imaginary Invalid for the Long Beach Opera, Manhattan Theatre Club's Downtown Uptown Festival, and three plays by Jeffrey M. Jones. He is a co-artistic director of Creation Production Company, which he founded with Susan Mosakowski in NYC. The company has produced forty-nine original works for the stage in New York, Los Angeles, Amsterdam, Berlin, Washington, Philadelphia, Minneapolis, and Seattle, among other places. He is the Director of the Theatre Program at Fordham College at Lincoln Center, where he teaches Acting, Playwriting, and Collaboration. He has been a guest for workshops at such universities as Emory, the University of Iowa, and Yale. He is an alumnus of New Dramatists and a member of the Dramatists Guild. He has served as chairman of the Theatre panel of the New York State Council on the Arts, and has been a theatre panelist for the NEA. He has served as a juror for the Princess Grace Foundation, TCG, and New Dramatists.